How to enable gzip compression in Apache? 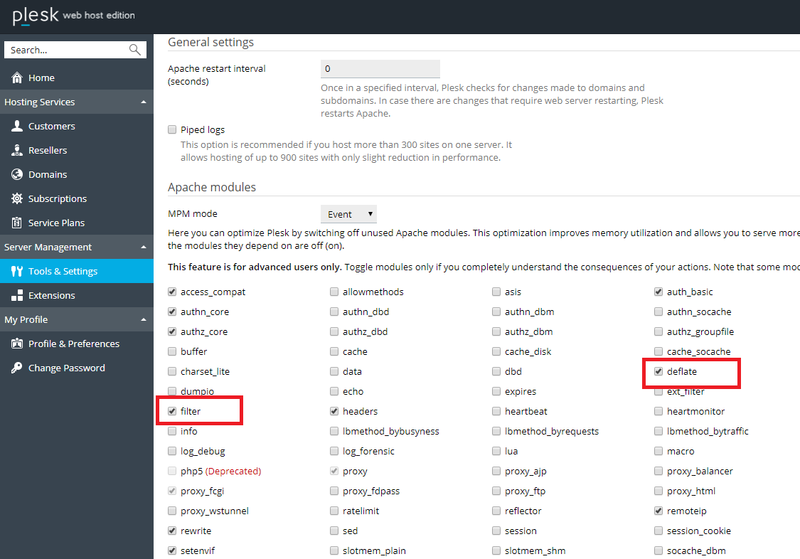 Make sure that 'deflate' and 'filter' modules ('filter' might be absent on CentOS 6) are enabled in Tools & Settings > Apache Web Server. 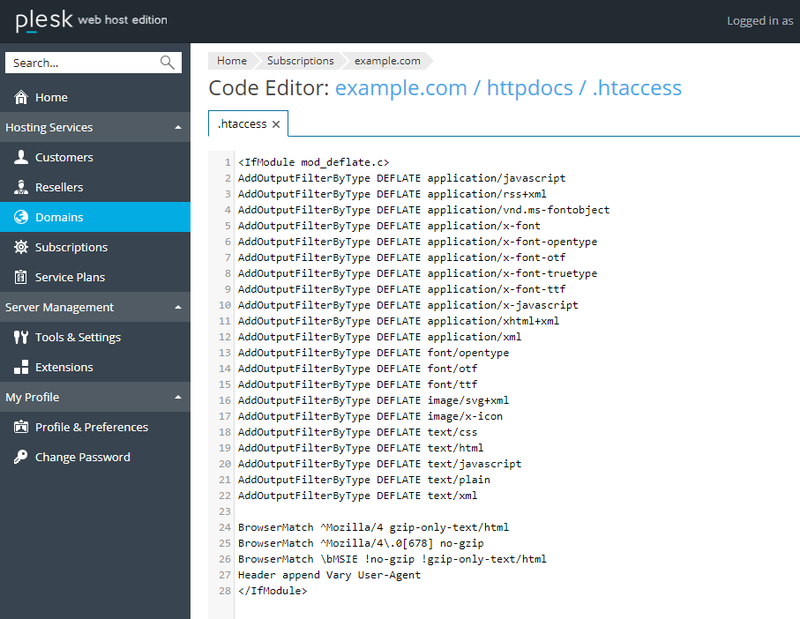 Go to Domains > example.com > File Manager and open the .htaccess file. Thank you. This was very helpful for my Amazon Ec2 instance! Disculpa pero cuando realizo lo siguiente me deja de funcionar apache! Could you please share the information about the error? Apache version? The article was verified and no errors with apache were found. Thank you for noticing. The article was updated. Take part in our product improvement and vote for this feature on Plesk UserVoice. The top-ranked suggestions are likely to be included in the next versions of Plesk. As for "infobox" could you please share the details and clarify the usecase?